More than a dozen alternative and advanced fuels are in production or use today. Although government-regulated and voluntary private fleets are the primary users of these fuels, consumers are increasingly more interested in them. Using these fuels is critical to reduce U.S. dependence on foreign oil and improve air quality. The Energy Policy Act (EPA) of 1992 defined seven alternative fuels that are or have been commercially available for vehicles, and these are described briefly below. For more detailed information, click on the fuel you wish to learn more about. Biodiesel is a renewable alternative fuel produced from a wide range of vegetable oils and animal fats and is a cleaner-burning replacement for petroleum-based diesel fuel. Pure biodiesel or biodiesel blended with petroleum diesel can be used to fuel diesel vehicles, providing energy security and emissions and safety benefits. It is non-toxic, biodegradable and has physical properties similar to those of petroleum diesel. Electricity can be used to power all-electric vehicles and plug-in hybrid electric vehicles directly from the power grid, and power can be stored in the vehicle’s batteries. Vehicles that run on electricity produce no tailpipe emissions. The only emissions that can be attributed to electricity are those generated in the production process at the power plant. Electricity is easily accessible for short-range driving. Home recharging of electric vehicles (EVs) is as simple as plugging them into an electric outlet. Electricity fueling costs for electric vehicles are reasonable compared to gasoline, especially if consumers take advantage of off-peak rates. However, electricity costs vary across the U.S. depending on location, type of generation, and time of use. Ethanol is a renewable fuel made from various plant materials, which collectively are called “biomass.” Ethanol contains the same chemical compound (C2H5OH) found in alcoholic beverages. Nearly half of U.S. gasoline contains ethanol in a low-level blend to oxygenate the fuel and reduce air pollution. Ethanol is also increasingly available in E85, an alternative fuel that can be used in flexible fuel vehicles. Studies have estimated that ethanol and other biofuels could replace 30% or more of U.S. gasoline demand by 2030. Hydrogen has the potential to revolutionize transportation and, possibly, our entire energy system. The simplest and most abundant element in the universe, hydrogen can be produced from fossil fuels and biomass and even by electrolyzing water. Producing hydrogen with renewable energy and using it in fuel cell vehicles holds the promise of virtually pollution-free transportation and independence from imported petroleum. Major research and development efforts are aimed at making hydrogen vehicles practical for widespread use. Methanol, also known as wood alcohol, can be used as an alternative fuel. The use of methanol has dramatically declined since the early 1990s, and auto makers are no longer manufacturing vehicles that run on it. As an engine fuel, methanol has similar chemical and physical characteristics as ethanol. Natural gas is a domestically produced alternative fuel and is readily available to end users through the utility infrastructure. It can produce significantly fewer harmful emissions than gasoline or diesel when used in natural gas vehicles. Natural gas has a high octane rating and excellent properties for spark-ignited internal combustion engines. It is non-toxic, non-corrosive and non-carcinogenic and presents no threat to soil, surface water or groundwater. Natural gas accounts for approximately one quarter of the energy used in the United States. Of this, about one third goes to residential and commercial uses, one third to industrial uses, and one third to electric power production. Only about one tenth of one percent is currently used for transportation fuel. Because of the gaseous nature of this fuel, it must be stored onboard a vehicle in either a compressed gaseous (compressed natural gas, CNG) or liquefied (liquefied natural gas, LNG) state. Propane, also known as liquefied petroleum gas (LPG), is used by many fleets. It has a high energy density, giving propane vehicles good driving range, and propane fueling infrastructure is widespread. Propane has a high octane rating and excellent properties for spark-ignited internal combustion engines. It is non-toxic and presents no threat to soil, surface water, or groundwater. Propane is produced as a by-product of natural gas processing and crude oil refining. It accounts for about 2% of the energy used in the United States. Uses include home and water heating, cooking and refrigerating food, clothes drying, powering farm and industrial equipment, and drying corn. Less than 2% of U.S. propane consumption is used for transportation fuel. Pure plant oil used as engine fuel has potential for the most comprehensive ecologic, economic and social benefits of all biofuels. The production involves few process steps and is economical on a small scale. The production process leads only to small energy losses because no thermal or chemical process steps are involved, and it can be implemented in decentralized small units without losing cost-effectiveness. The non-toxicity and the low flammability are further advantages from a logistics point of view. A niche fuel at present, the path to commercial implementation of PPO will require the development of a PPO fuel standard and demonstration of viability on a fleet scale; PRCC and member-partners are currently working on developing case studies, fuel standards and emissions testing of PPO fuel. States and municipalities are key players in increasing EV readiness. 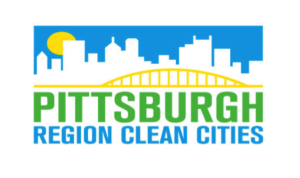 The best way for states and municipalities to improve their EV readiness is to partner with their local Clean Cities coalition, which can connect them to specific regional resources and other relevant stakeholders. Plug-in Electric Vehicle Readiness Scorecard: Hosted on the DOE’s Alternative Fuels Data Center, the Scorecard allows communities to assess their readiness, receive feedback about ways to improve, read about best practices, and record progress. Guide to the Lessons Learned from the Clean Cities Community Electric Vehicle Readiness Projects: This guide, which is on the DOE Clean Cities’ website, summarizes the best practices in streamlining permitting processes, revising codes, training emergency personnel, developing incentives, and educating the public based on the experiences of 16 EV readiness projects across the country. Reports from the Clean Cities’ EV Community Readiness Projects: These are individual reports and community readiness plans from each of the projects, hosted on the Clean Cities’ website. (See list of projects in chart, below). Zoning, Codes and Parking Ordinances: This page on the DOE’s Alternative Fuels Data Center links to relevant NIST codes for electric vehicle charging. Handbook for Public Charging Station Hosts: This handbook on the DOE’s Alternative Fuels Data Center provides an overview for what cities hosting public charging stations need to know before installation. Creating EV-Ready Towns and Cities: A Guide to Planning and Policy Tools: Published by the Transportation and Climate Initiative, this guide provides information on the steps to create, administer, and amend planning processes, rules and regulations, including in zoning, parking, and permitting. EV-Ready Codes for the Built Environment: This guide, published by the Transportation and Climate Initiative, provides an overview of building and electrical codes as relating to EVs, as well as providing recommendations specific to jurisdictions in the Northeast and Mid-Atlantic. Training on EVs for First Responders through the National Alternative Fuels Training Consortium and the National Fire Protection Association provides essential education to firefighters, police officers, EMTs and others that may need to respond to accidents involving EVs. Drive Electric Vermont Case Study: This case study examines the opportunities and barriers to enabling small and midsize communities to partake in the plug-in electric vehicle market and benefit from the economic and environmental advantages of the vehicles. Providing charging at the workplace can encourage employees to purchase EVs, be an attractive employee benefit, and maximize all-electric miles driven by EV owners. The EV Everywhere Workplace Charging Challenge is a DOE program to have more than 500 employers provide workplace charging to their employees by 2018. Like consumers, fleets can benefit from the low operating costs and other benefits associated with EVs. Local Clean Cities coalitions can help fleets decide which technologies and models will be most appropriate to meet their needs. Handbook for Fleet Managers: This handbook on the DOE’s Alternative Fuels Data Center provides fleet-specific information on the basics of EVs, including issues like maintenance and charging. Plug-in Electric Light, Medium and Heavy-Duty Vehicle Search: This tool on DOE’s Alternative Fuels Data Center provides information on EVs that can be filtered by class/type and manufacturer. AFLEET Tool: Argonne National Laboratory’s Alternative Fuel Life-Cycle Environmental and Economic Transportation Tool allows fleet managers to calculate the cost of ownership, petroleum use, greenhouse gas emissions, and air pollutant emissions of alternative fuel vehicles. The installation of residential, workplace and public charging is essential to establishing an EV market. Electric Vehicle Infrastructure Training Program: This program provides training and certification at community colleges and electrical training centers across the U.S. for people installing electric vehicle supply equipment for residential and commercial markets. EVSE Residential Charging Installation Video: A series of segments on the Clean Cities TV YouTube channel walk electricians through the basics of installing EVSE in homes, including an overview of the equipment, the relevant National Electrical Codes, inspection, and best practices. Through our partnership with the Edison Electric Institute, DOE is developing a suite of tools for utilities to support the use of EVs. The Utility Guide to Plug-in Electric Vehicle Readiness: A guide from the Edison Electric Institute, this document covers structuring your company to support EVs, adding EVs to utility fleets, enhancing the customer experience, working with state and local governments, and managing the electrical grid with EVs. Utilities Power Change – This case study showcases how New Jersey’s Public Service Electric and Gas Company, and Southern Company’s unit Georgia Power are launching workplace charging programs for their commercial customers. Looking for more information about alternative fuels and related topics? Check out some of these documents and links! Is Natural Gas the Fuel of the Future?